Q: What should I eat before an early morning 2-hour swim practice? A: In a perfect world, a swimmer should have something to eat before their morning practice - this goes for other early morning workouts too (running, practice, workout, etc.). If you were going to exercise for just a short amount of time (30 minutes or less), you could get by without having something but when practice will be 2 hours long, you definitely want to have something on your way to practice to boost your blood sugar levels. 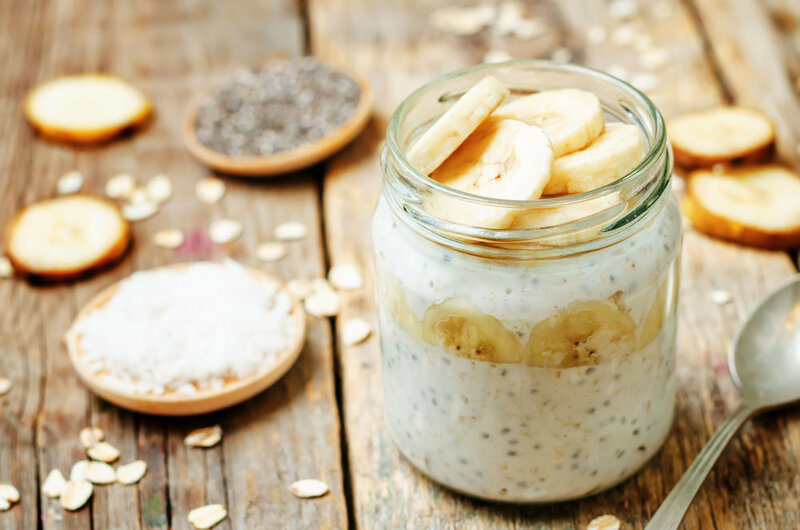 What you should eat to help get the most out of your early morning workout is something that is easy to digest and that YOU can tolerate. From a nutrient perspective, opt for foods or combinations of foods that will deliver mostly carbohydrates, some protein, and that are lower fat; this mix of nutrients would be the best bet to give your blood sugar levels a boost and help you get the most out of your morning practice. There isn't a one-size fits all approach to this but here are some quick and easy ideas that are easy to grab, even when you are really tired! 1. Combine the ingredients in a small container and cover. Refrigerate overnight. 2. The next morning top with extra milk if desired and warm up in the microwave or eat cold.